The management of the University of Ilorin (UNILORIN), has urged candidates seeking admission into the institution for the 2017/2018 academic session, to ignore any admission list in circulation, as it is fake. In a statement released on Tuesday, the school advised candidates to be patient and avoid falling into the hands of fraudsters. 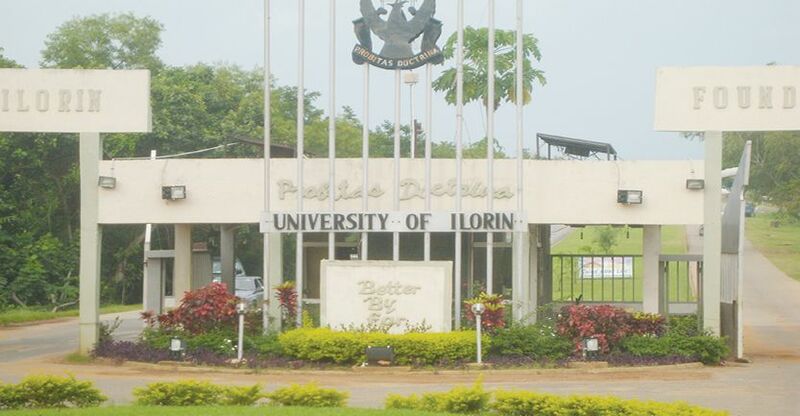 “The attention of the Management of the University of Ilorin has been drawn to a fake admission list currently circulating on the Social Media. “All admission seekers should please disregard that list, as it did not emanate from the University. “The University of Ilorin has not released any list neither has it authorized anybody to do so. “Only the Joint Admissions and Matriculation Board (JAMB) can contact admitted candidates through their individual portals and not by way of a comprehensive list. “So, candidates should continue to check JAMB’s CAPS Platform for any information on their admission status,” the statement read. 07066153504_BONANZA BONANZA BANANZA DIFFERENT PRODUCTS OF RICE. ITS CHRISTMAS AGAIN ORDER ANY QUANTITY OF THAILAND AND INDIAN RICE FROM US WHICH IS TO BE DELIVERED TO YOU IN ANY STATE WITHIN NIGERIA.EITHER WHOLESALE OR RETAILS HOWEVER WE CAN SUPPLY FROM 10 BAGS AND ABOVE, TRAILERS OF ANY TYPE OF RICE LISTED BELOW THAT YOU WANT, CHECK OUT NEW PRICE BELOW (1) Royal umbrella=8,500 (2) Mama Gold=8,500 (3) Royal stallion=8,500 (4) Otunba=8,500 (5) Rising sun=8,500 (6) Secial rice=8,500 (7) Mama Africa=8,500 (8) Royal crown=8,500 (9) Ade Brazil=8,500 (10y Elephant Gold=8,500 (11) Super eagle=8,500 (12) PJS=8,500 (13) Tomato rice=8,500 (14) Caprice =8,500 because of instability of market,the promotion Thanks for your patronage. We give the best quality and sound bags of rice....call Mr Alhaji Musa Jimoh on 07066153504 For more information..